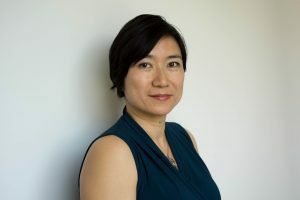 IHPME Professor Emily Seto has been named one of the 56 recipients of the Connaught New Researcher Award by the University of Toronto. Seto is a faculty member and the lead for the Health Informatics program at IHPME. She is also an alumna of the Institute, having earned her PhD in 2011. “There was no such thing as a health informatician when I entered the work force,” said Seto, “everyone involved in the field was from a variety of backgrounds, it was very multidisciplinary.” Seto, who is a professional engineer graduated with her MSc in medical imaging where she realized her interest in medical technologies. It was through her PhD at IHPME however, that Seto began to focus on how mobile medical technologies could be utilized to solve healthcare issues. Having worked in the field of health informatics for many years, Seto is especially interested in how health care technology facilitates patient care. Her proposal for the Connaught New Researcher Award entitled “Telemonitoring in an integrated chronic disease management clinic: a new model of care for complex patients with multiple chronic conditions,” focuses on the use of mobile technologies to enhance complex patient care, and to assist the health system in providing more cost efficient service. The Connaught New Researcher Award is given annually to assistant professors at the University of Toronto who are within the first five years of their tenure-stream appointment. The funds are intended to allow new faculty the opportunity to further develop their research in the early stages of their career. Winning the Connaught Award provides Seto with the appropriate groundwork to further develop telemonitoring innovations such as mobile apps to manage patient care on a digital level. “Telemonitoring enables patients to track their health from their own home, including parameters such as weight, blood pressure, and symptoms. The information is then sent automatically to their healthcare provider,” says Seto. Through an algorithm developed with clinicians, the telemonitoring system sends real-time messages back to the patient with advice on how to manage their health, such as to take more medication or reduce their salt intake. Clinicians are alerted if the patient gets worse, and can follow up with a phone call to reinforce patient education or change their medication if needed. “The main goal of using telemonitoring is to support patients in self-care as well as assist their healthcare providers in providing the appropriate clinical care so patients are not constantly being readmitted to hospital,” said Seto. These mobile apps are developed in conjunction with clinicians and patients who provide valuable feedback and help Seto and her team ensure that the technology is useful to the care being provided. Seto is also currently partnering with the William-Osler Health System to integrate telemonitoring equipment within the chronic disease management clinic. “Finding ways to help manage chronic conditions would not only save healthcare dollars, but better the lives of patients who will feel more involved with their care,” said Seto. Solving these kinds of healthcare problems was one of the many reasons Seto found herself drawn to the field of health informatics. Now, her goal is to see mobile technologies placed within our healthcare system, while looking to provide further global innovation for health systems worldwide.